There are many benefits to having your wedding during the winter months… vendors tend to be less expensive, the atmosphere is festive and most of all…it makes a gorgeous backdrop for your decor. Whether you love the charm of a rustic Christmas theme or are looking for a more glamorous affair, snowy scenery will allow your florals to pop! For a rustic affair, keep floral hues warm and inviting. 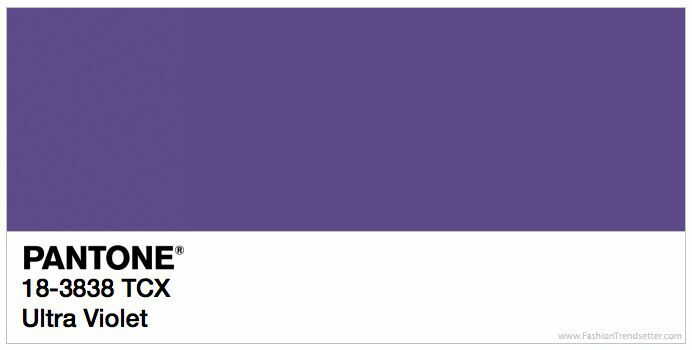 Deep berry tones, rich creams and burnt oranges will pop against the crisp white backdrop of winter. Don’t be too formal with your arrangements. 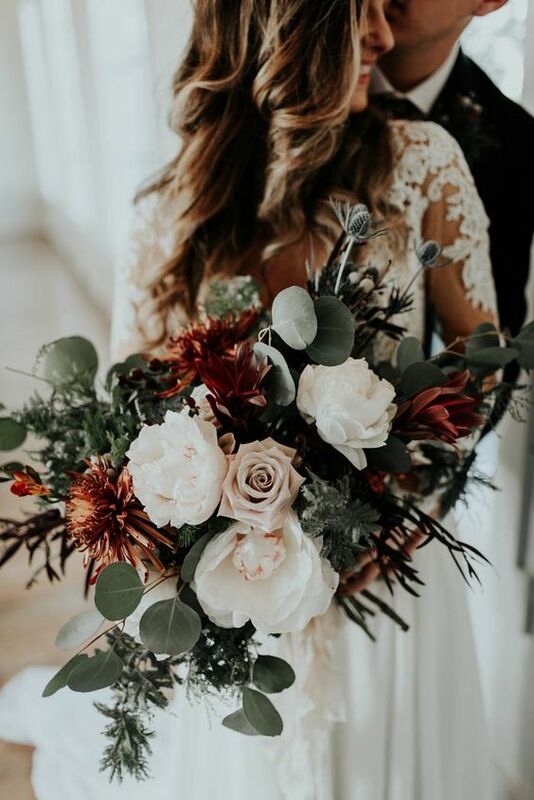 Think flowing, wild bouquets, which will feel much more organic. 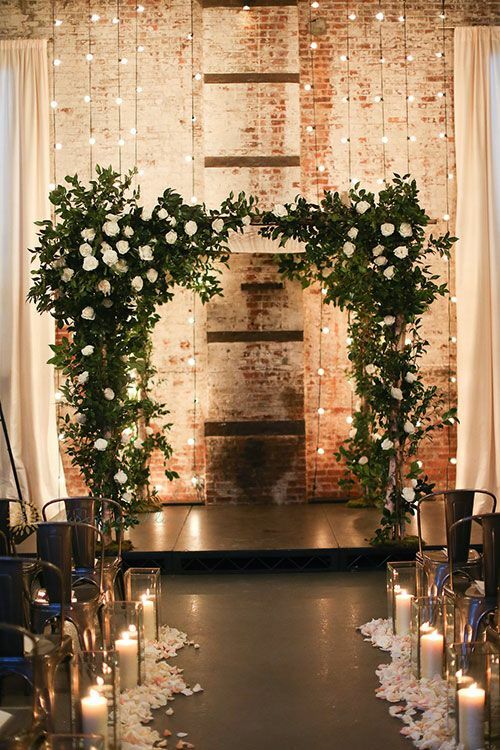 Include lots of greenery such as Evergreen bows and Eucalyptus to decorate your altar and aisle, or even your cake! These greens will help add a subtly festive feel to your big day. 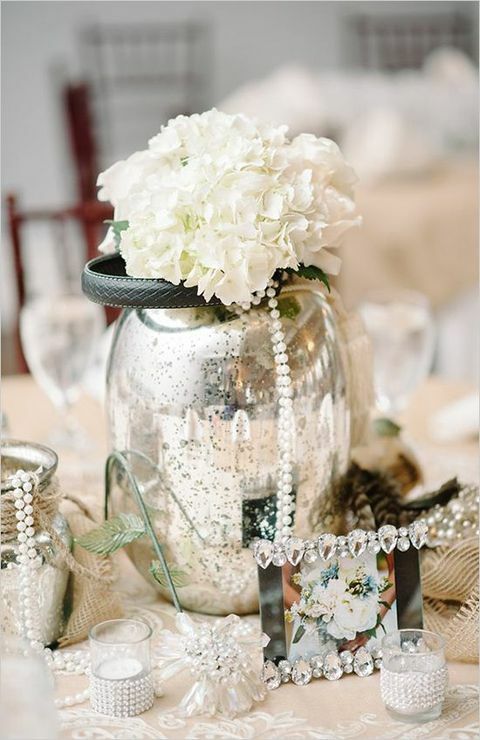 If you’re dreaming of a more glamorous wedding, all white weddings will never go out of style. 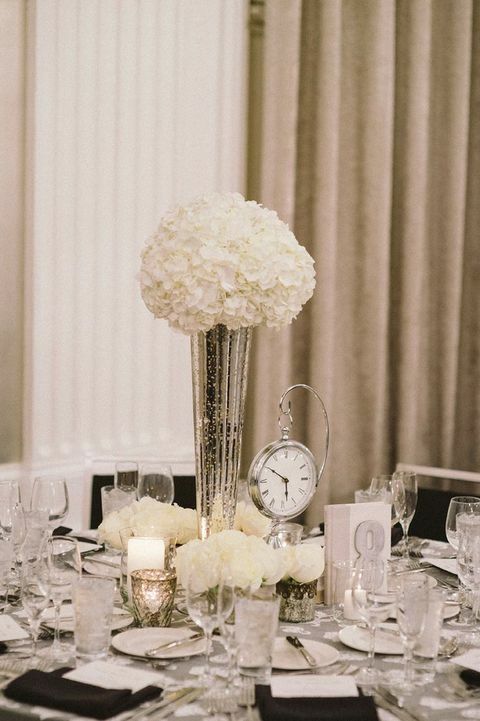 Whether it’s a Holiday wedding or New Years, fresh white flowers give a rich and luxurious look to any venue. 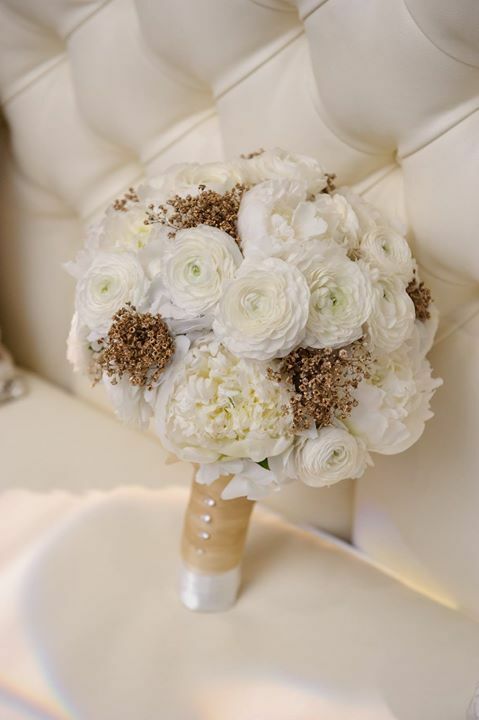 Think classic white roses, full bodied hydrangeas and feminine freesia. Are you thinking of a more traditional Holiday affair? Adorn your venue with red and white flowers and your guests will be transported to a festive wonderland! Think red roses, white chrysanthemums and Christmas greens with silver or gold accents. 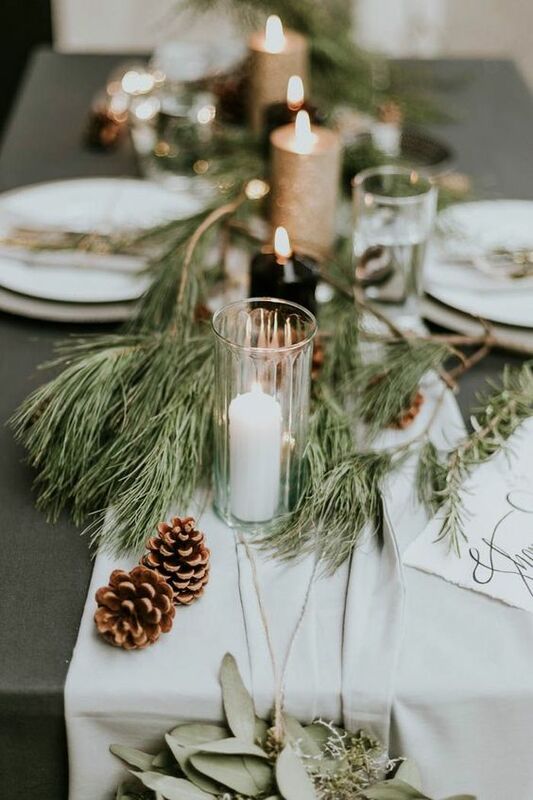 Add some pine cones and even a Christmas tree decorated with oodles of twinkle lights! 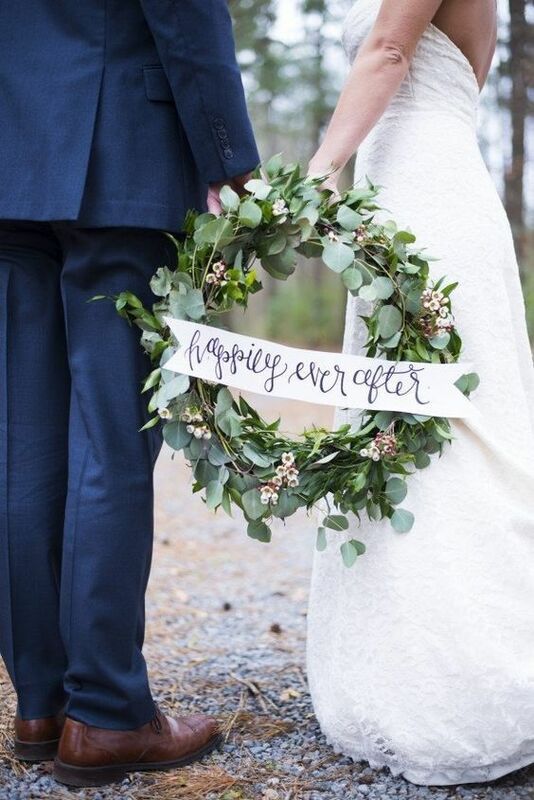 Whatever your winter wedding vision, our expert florists at Bunches Direct can help you create the perfect florals! 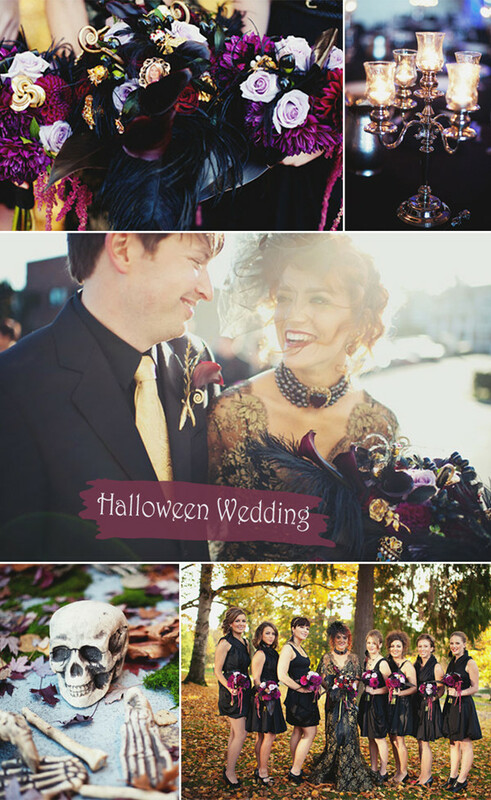 If you’re planning on celebrating your nuptials with the ghosts and ghouls on All Hallows’ Eve, there are some easy ways to avoid the whole thing turning into a fright fest. 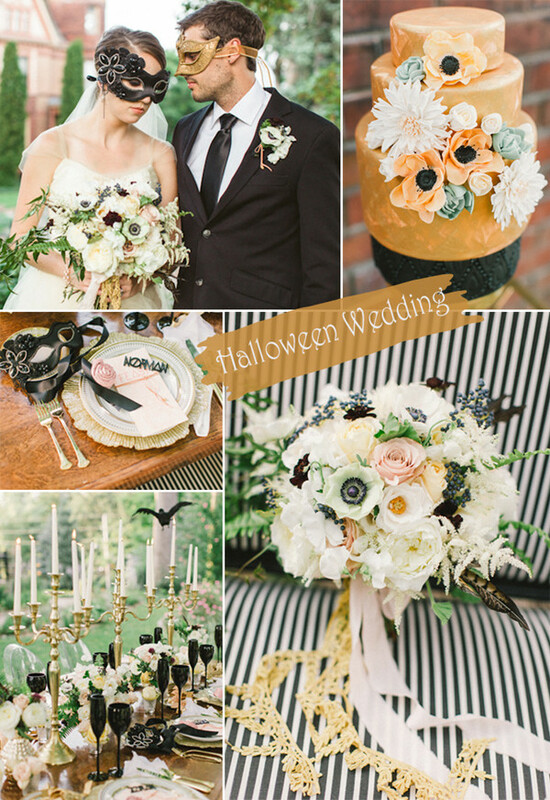 Halloween-themed weddings are about creating moodiness and playing up Gothic details. The idea that you need Jack-O-Lanterns and candy bars is just a bunch of Hocus Pocus. Yes, you’ve chosen a Halloween theme, but that can be interpreted in many different ways. One idea that’s on trend is throwing a mysterious masquerade ball. Keep things sophisticated and formal with the groomsmen wearing black suits and your ladies in rich jewel tones like Sapphire or Amethyst. Everyone gets to wear a beautiful mask, which will put everyone in the Halloween mood. 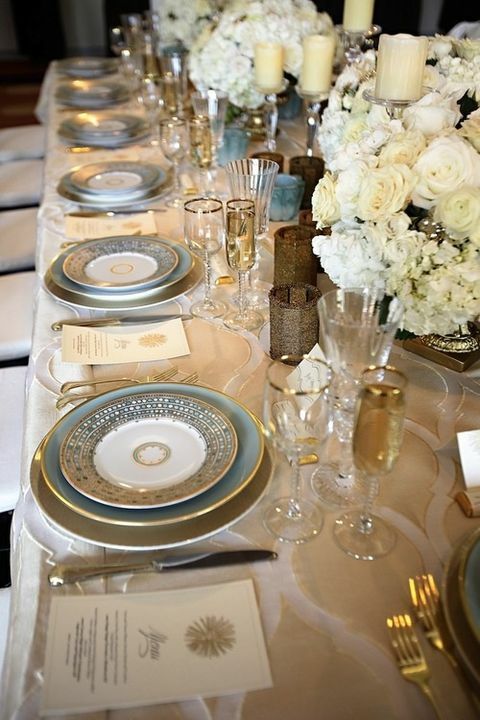 Class things up with lots of antique gold details and lots of candles. 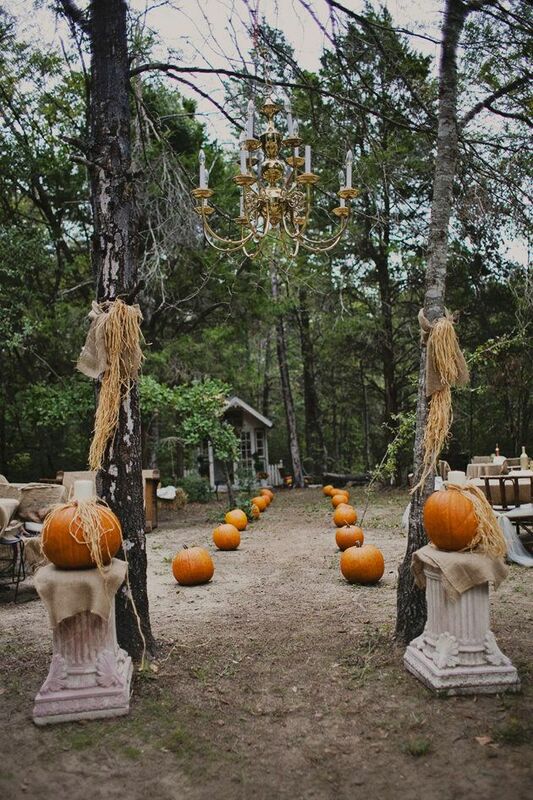 Rustic weddings are still extremely popular, so take your party to an old barn surrounded by dark forests and let the Halloween vibes flow. Think dark magic and ghost stories! Have your ceremony at dusk, accompanied by lots of candles to create moodiness that’s still unmistakably romantic. 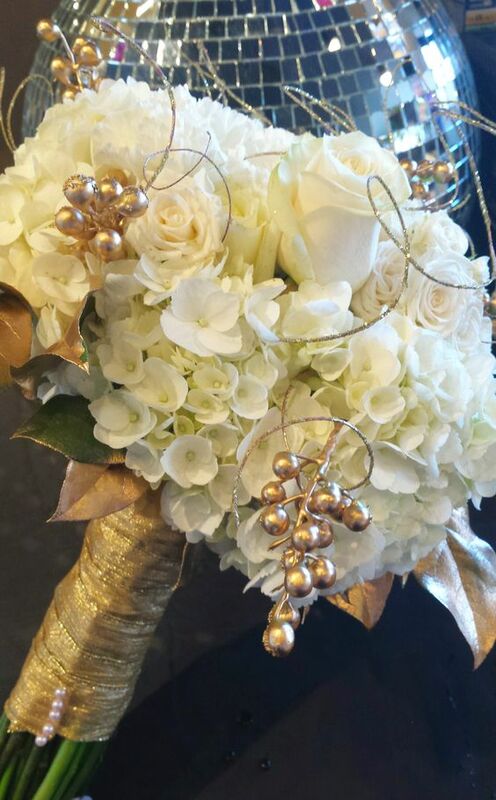 Whatever theme you choose, the right flowers can help bring it to life! Flowers can be moody while still being elegant. 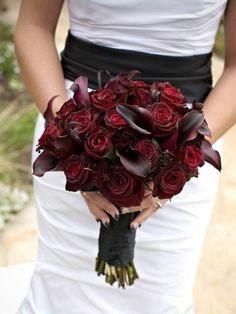 Think deep burgundy Dahlias, Ranunculus, blood red Roses, Spray Roses and black Calla Lilies. 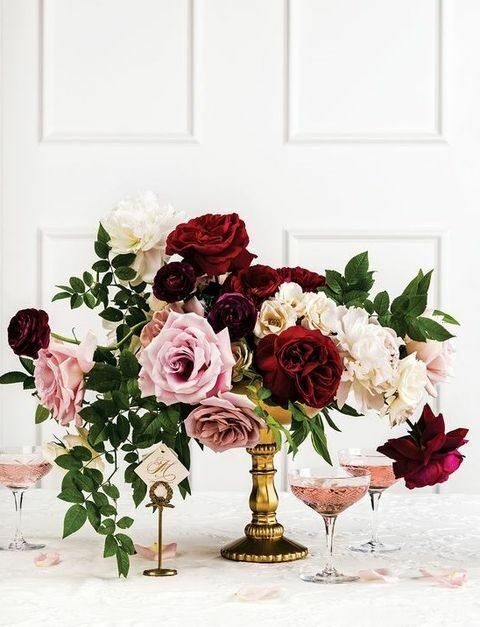 Accent your darker flowers with shades of cream or lighter dusty pinks for a romantic look. Using twisty branches in your bouquet or centrepieces will add to the eerie ambience as well. Be creative with your vases too! 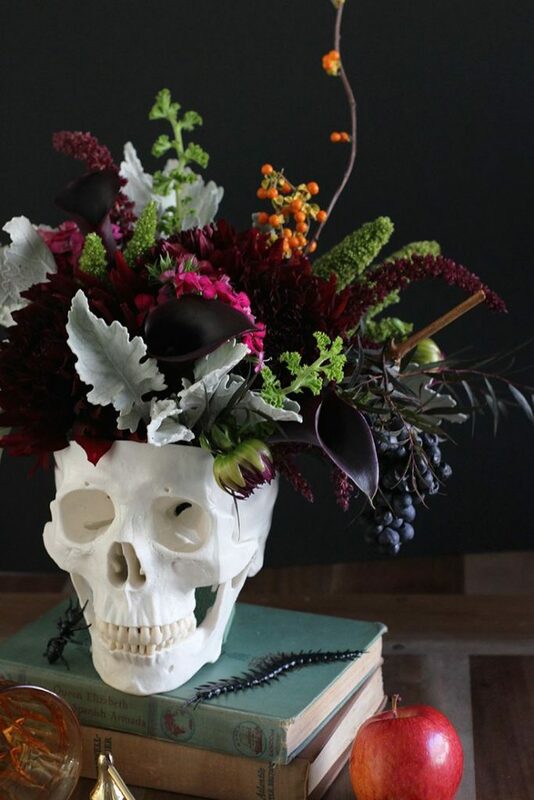 Dusted antique gold vases, pumpkins, jars or Gothic looking skulls will add that something extra to your spooky day. 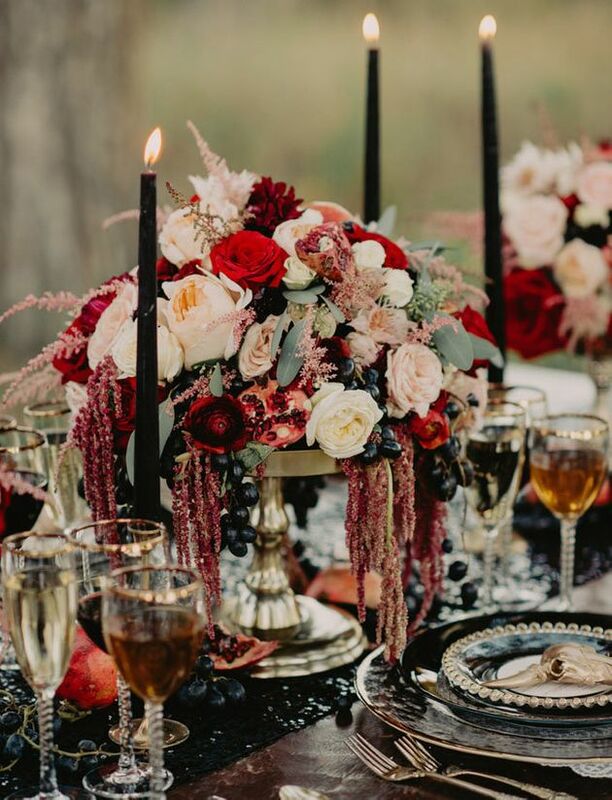 Garlands of greenery and dark blooms decorate tables beautifully when accompanied with lots of candles, and save on cost too! Think Fern, Seeded Eucalyptus, and Ruscus.